Spiritual warfare is a battle against demonic spirits, principalities, powers, rulers of darkness, spiritual wickedness in high places, to root out, tear down, destroy, build, and plant. Christ gave you power over serpents, scorpions, and over all the power of the enemy and nothing by any means can harm you. THESE FOUND OUT WHAT TO DO - YOU CAN TOO! 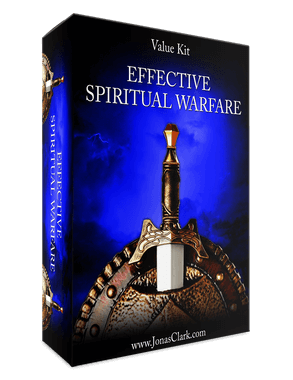 UPGRADE TO THE SPIRITUAL WARFARE EXPANDED BUNDLE! Click the button below to add the Effective Spiritual Warfare (Physical Kit) to your wish list.